Discussions are heated on the Facebook page of Swedish dairy company Arla where dozens of Icelanders defend their national product: skyr. Yesterday we published a story that Arla is claiming to make real Icelandic skyr and to have branch in Höfn in east Iceland. Arla has no branches in Iceland and their "skyr" is not for sale in Iceland. 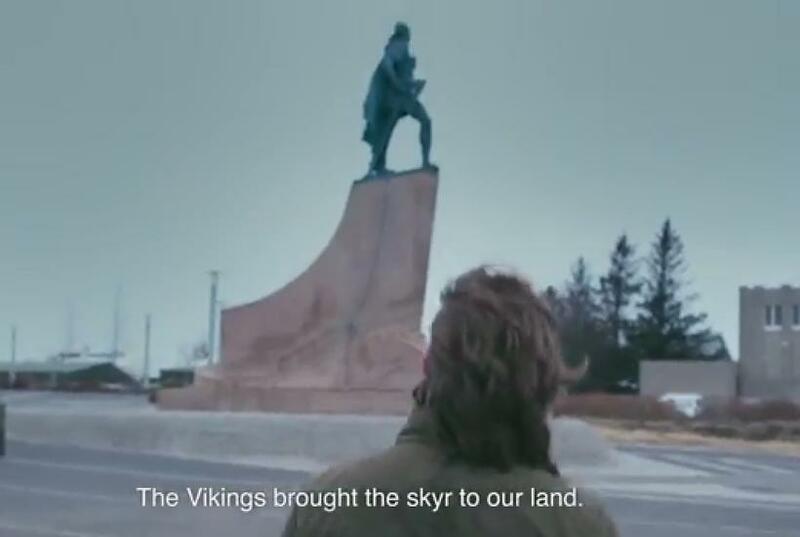 Arla's skyr advertising campaign is shot on location in Iceland. "Arla skyr is not produced in Iceland. They, Arla, don't even know how to pronounce skyr," says one commentator and another one adds,"Wonderful Icelandic landscape, however the Arla product is not Icelandic But a fake Swedish imitation of Icelandic Skyr. Are Swedish products so bad they have to present successful products from Iceland as their own?" Others add that the Arla skyr is nothing like skyr and is similar to yoghurt. Arla has not responded to any of the criticism. Sales and marketing director for MS, Jón Axel Pétursson believes that Arla must have made some sort of mistake. " It has to be a mistake. It's just too naff, to pretend you're something you're not." Icelandic company MS is bringing Icelandic skyr to the British market this summer so it looks like there could be some skyr wars ahead.